The Basques and Catalans may well disagree, but in recent years the quality of cooking in Southern Spain has risen dramatically, with chefs like Tono Perez of Atrio fame now winning pundits worldwide. Indeed, once derided as a gastronomic backwater, Southern Spanish cooking is today held in great esteem and the region’s leading chefs now give the Basques a serious run for their money when it comes to unrestrained creativity. 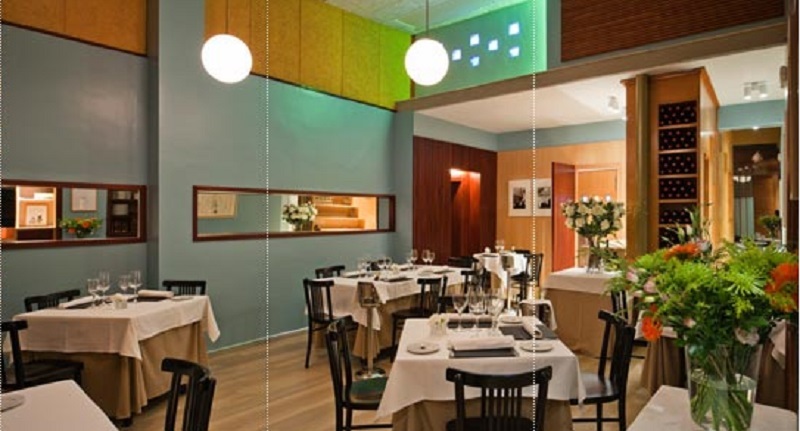 Moreover, the number of Michelin venues continues to rise – the legendary Atrio in Caceres is widely considered to be one of Europe’s finest restaurants, with a gargantuan wine list into the bargain! Of course, that’s not to suggest that chefs in this beautiful part of the world are turning their backs on Southern Spain’s culinary roots. Traditionally, local cuisine was heavily influenced by the region’s Islamic heritage; rice, lemons, oranges, olives, and vines were introduced by the Moors, as well as many new vegetables and spices. Today’s firmament of talented chefs make full use of this wonderful gastronomic legacy, updating age-old recipes with gusto and pizazz to create inventive combinations that are guaranteed to impress even the most cynical of food critics. 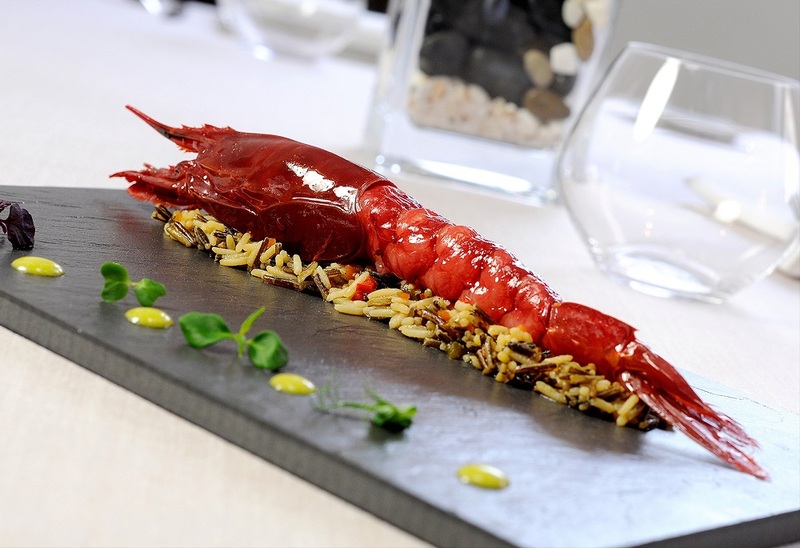 However, not all the restaurants in the region make the grade and so Cellar Tours has prepared a guide to some of the most decadent, exciting and mouth-watering destinations that visitors to touring Southern Spain should be sampling. 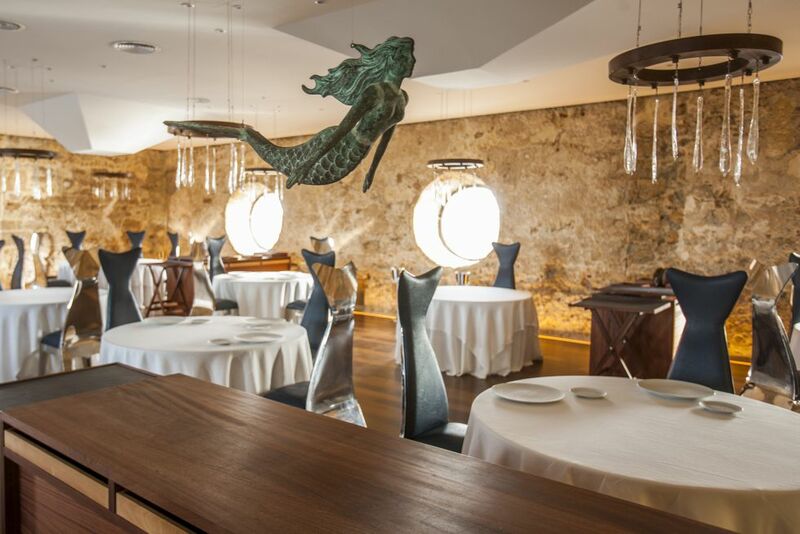 Three Michelin starred Aponiente is undoubtedly one of Europe’s finest seafood restaurants, a testament to the vision and incredible skill of owner Angel Leon and Head Chef Juan Luis Fernandez. Together, they have created something very special; a temple of molecular gastronomy that focuses not on the rarest of fish and flavors, but instead champions the lesser known varieties, such as Herring, Pollock, and ling. The setting, however, is straightforward enough – a thoroughly modern, airy and bright dining room, where diners are offered two tasting menus dedicated to Leon’s love of seafood, in addition to a mammoth 27-course option. Fernandez’s cooking is both inventive and playful, so expect such delicacies as cumin oysters, marinated dogfish, and shrimp Tortilla. Moreover, the service is utterly exceptional; polished, accommodating and yet not remotely cold or stuffy. Oenophiles won’t feel disappointed either; Angel Leon has put together a carefully curated list full of both fine wines and more esoteric options from across the Spanish heartland. Atrio is a place that tests a gastronomes’ ability to control his or her superlatives – where else in Spain could you hope to encounter such remarkable cooking, paired with over two hundred pages of fine wines from across the globe. Situated in the beautiful city of Caceres, Atrio is run by master Head Chef Tono Perez, a man widely considered to be one of Spain’s greatest culinary geniuses. Today, Perez offers his guests two tasting menus – traditional Atrio classics and new creations – focusing on precise, imaginative yet not overwrought cooking that omits some of the more outlandish flavors adopted by his peers. Indeed, every dish that Perez creates is essentially a poem, a blend of textures and flavors that are just so beautifully put together they must be sampled to be believed. Divine creations such as Jamon with squid and curry sauce, careta – pork, crayfish, and duck consume – and the divine torta del casar with quince ice-cream, which is a very special local cheese made from sheep’s milk. And if that wasn’t enough, Atrio boasts one of Europe’s largest wine cellars, stocked full of rarities, curiosities and literally the finest (and most expensive) wines ever made. An essential stop on any visiting gastronomes journey through Southern Spain. 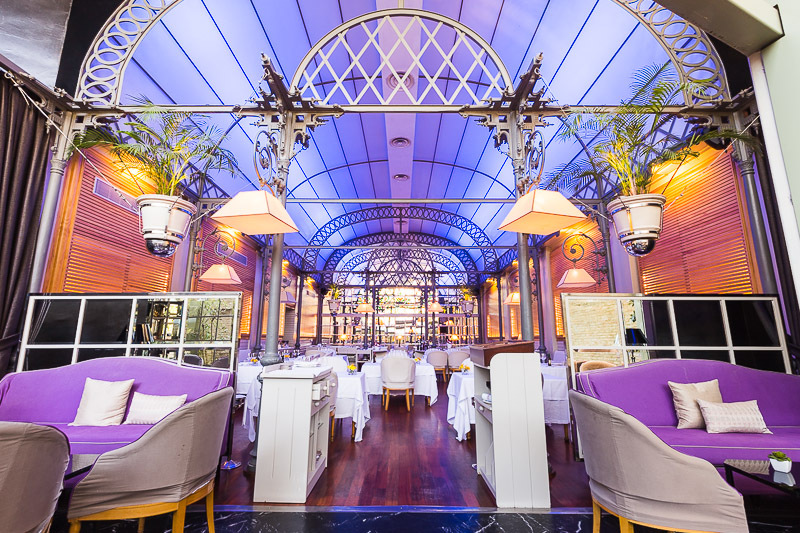 Welcome to Seville’s greatest restaurant – Abantal. 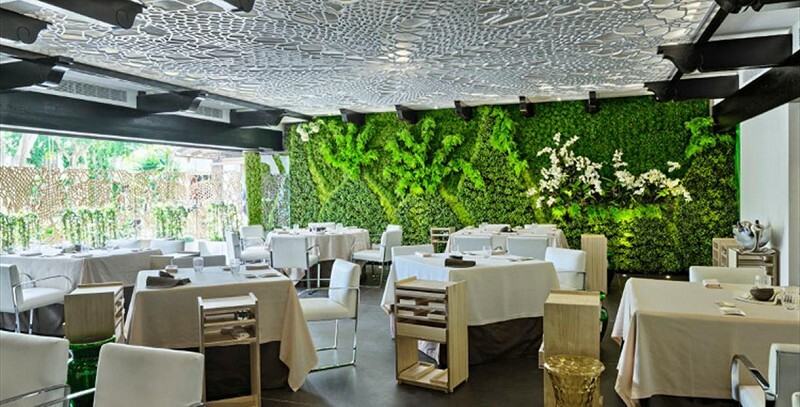 It is run by the only chef in Seville to hold a Michelin star, Julio Fernandez Quintero, a man utterly obsessed with only using the finest, freshest ingredients to update Andalusian classics with aplomb. Yet, Quintero’s cooking is never fussy or impenetrable; on the contrary, there is a welcome, understated approach to both the food and the restaurant itself, which is situated on a nondescript side-street far from Seville’s historic center. You could start with the Iberian pork and codfish “paella,” followed by lamb neck stuffed with chards stewed and apple and fennel salad. Finish with mango cannelloni stuffed with a cheese and white chocolate mousse and lemongrass soup. And for hard-core gastrophiles, there are seven and even nine-course tasting menus with appropriate wines paired with each course. Service is thoroughly professional and courteous, while the wine list is both extensive and very reasonably priced. One of Andalucia’s most desirable dining locations is a coveted group of alfresco tables in a luxury hotel resort, the Puente Roman Beach Resort Marbella. 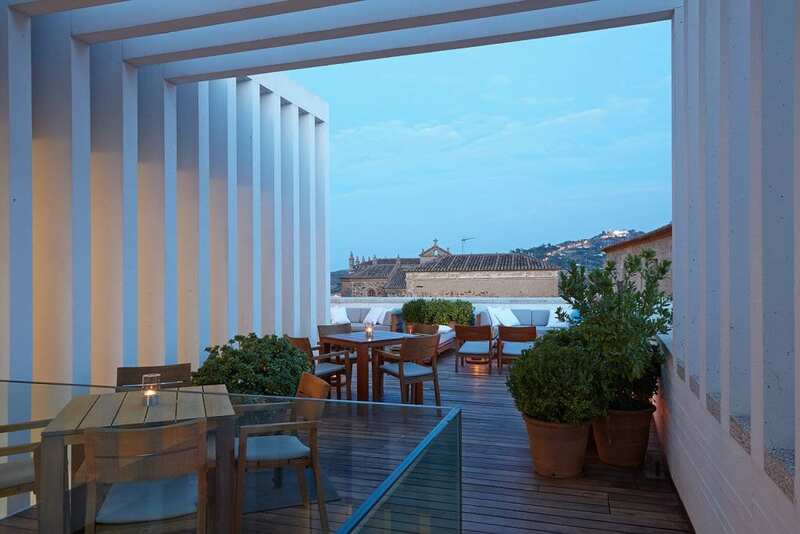 The feather in the cap of the Puente Romano, Dani Garcia is probably the region’s most glamorous restaurant, run by one of Spain’s most talented chefs. His menus are bold, playful and innovative: Glazed crispy chicken & giant sea urchin; wild mushrooms from the Ronda Mountains; Gazpachuelo malagueño, creamy fish soup with smoked eel and grapes; Slowly stewed cuttlefish and Ras el hanout lamb muscle with kéfir are all astounding culinary creations. As you’d expect at such a high-class address, service is nigh on perfect; slick, professional and engaging. There’s also a generously stock wine cellar, bursting with rare vintages from across Spain and beyond. 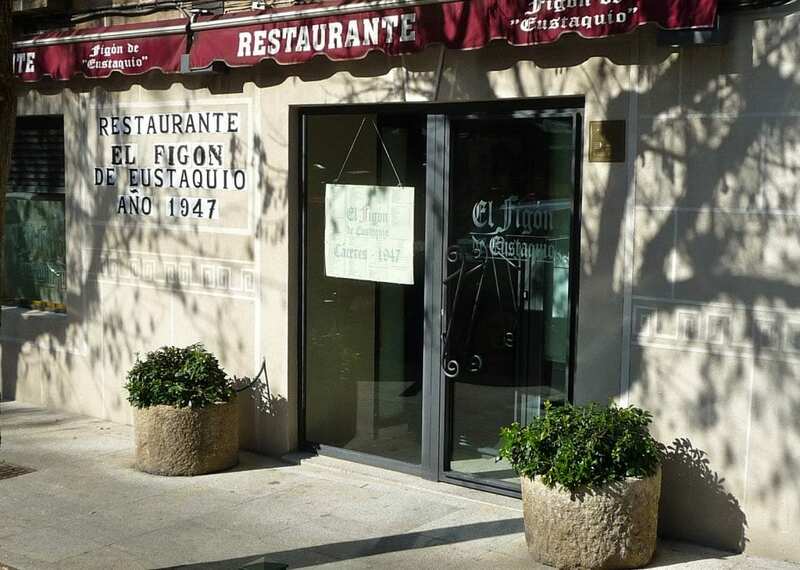 A family-run restaurant that has been serving locals for decades, El Figón is full of old-fashioned Spanish charm, from the authentically vibrant and noisy atmosphere to the warm welcome from your hosts. Indeed, this is not one of Spain’s trendy new additions but a legendary favorite in Caceres, and all the better for it. The menu is robust Extremaduran fare; grilled fish and streaks are a major specialty, particularly the pork loin and venison. A particularly moreish specialty of sausages, bacon and fried breadcrumbs known as Migas seems to be on everyone’s top ten. Service always comes with a smile and the wine list, although relatively short, is full of local gems at wallet-friendly prices. Moreover, there’s plenty of alfresco tables for summer dining. An unpretentious gem and an incomparable way to sample one or two of the finer points of Extremaduran traditional cuisine. Terraza las Tomasas is surely Andalucía’s most romantic restaurant. 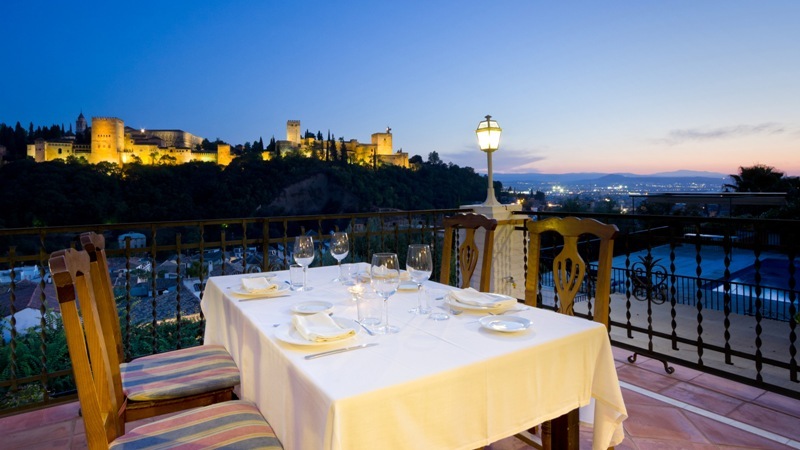 Indeed, the views alone are worth the price of a meal; a gorgeous, whitewashed terrace with unrestricted views of Granada’s Alhambra palace ensures that las Tomasas is packed with a well-dressed clientele who come en masse in families and groups on weekends, and in steady flow most weekdays. However, this gem of a restaurant doesn’t just trade on its location, the cooking is of a similarly high standard, and showcases both local classics and a smattering of international options. 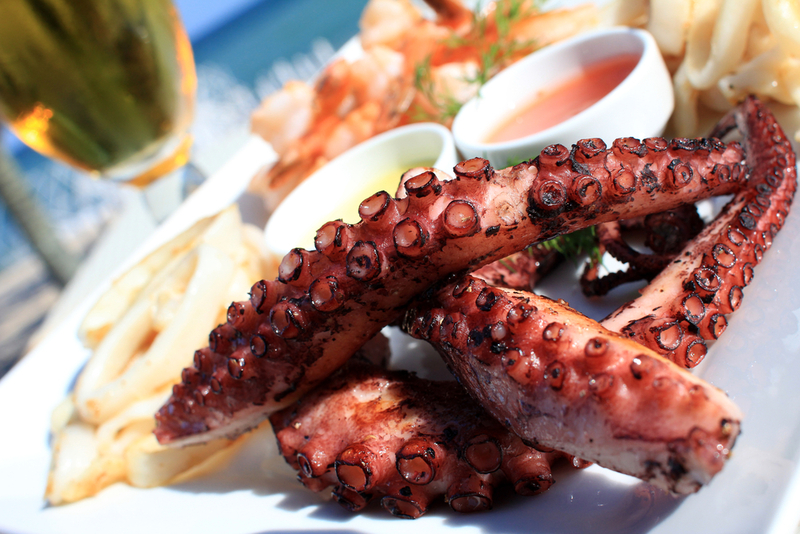 The varied menu might include grilled scallops with chestnut puree; grilled octopus; porcini mushroom risotto and a mouthwatering veal sirloin steak with peppercorn sauce. And with a fantastically varied wine list and warm, friendly service, it is small wonder that these are some of Granada’s most coveted tables. “Designer tapas,” is the term most often used to describe the wonderfully bold creations at Seville’s perennially popular tapas bar. 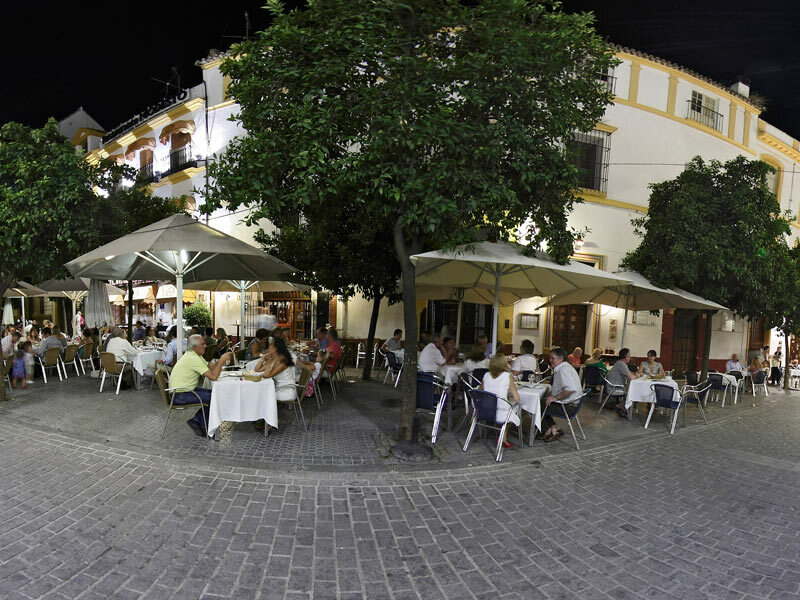 For this is no ordinary Andalusian hole in the wall; its owners have turned a historical culinary tradition into exquisite and innovative little portions, literally exploding with flavor. In fact, this is one of Seville’s most fashionable tapas bars – while others might be happily low-key and good quality, this place is pushing the boundaries on all sides. Some of the delicious creations include yema and foie gras, marinated sardines with aubergine and yogurt or carpaccio with spinach, artichokes, and Manchego cheese. With a great choice of Sherry by the glass and fine service it all adds up to a truly five-star experience. There’s nothing modest about the welcome you’ll receive at Restaurante Modesto, undoubtedly one of Seville’s most friendly and vibrant destinations, an institution in its own right. Locals flock to the expansive ground floor bar to quaff Sherry and tapas, while the first floor houses a majestic dining room, complete with traditional Andalusian interior. However, the cooking at Modesto is totally removed from the avant-garde of Basque molecular gastronomy and lacks a hint of pretension. But this is probably all to the good for Modesto, an inviting restaurant that has earned its place in the hearts of both locals and tourists who venture here for the honest, no-frills cooking and fantastic atmosphere. Top choices include the freshest seafood, with the Marqués de Villalúa clams being a particular highlight. 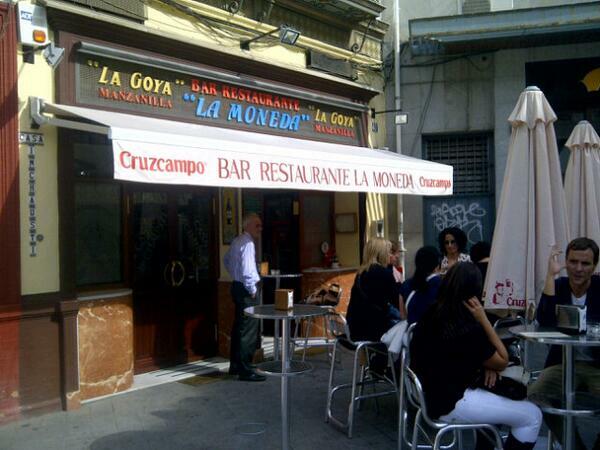 Or, try the grilled milk-fed lamb chops, reputedly some of the best in Seville! But whatever you order, when your food arrives, you can be sure it will be fresh and hearty – a genuine celebration of life’s good things. Talented chef Eneko Galarraga skillfully mixes the best elements of Basque/Andalusian culinary tradition with determined style and grace and is becoming one of the region’s top chefs. His inventive, fusion dishes, based on the Basque school of molecular gastronomy are wonderfully creative, but then Galarraga insists on only using the finest, seasonal ingredients. The restaurant itself is serene, stylish and welcoming, an upmarket temple to gastronomy in a city generally celebrated for its energy and style, rather than for its refinement. However, there is nothing rustic about Warm octopus salad with sweet potato, spring onion, and crispy Iberian bacon, or confit baby lamb loin over sauteed quinoa seasoned with almonds, white grapes, and cinnamon. The service too is as polished as the food, restaurant manager Juan Francisco García is one of the best in the business, and will ensure a magical experience is had by all. Fresh seafood in all its majestic forms is the specialty at this charming family-run establishment, run by José Luís Inchausti. La Moneda made a massive splash when it opened in 1991, and today continues to attract a loyal clientele, who come for the finest prawns, turbot, and oysters around. The décor is simple, the ambiance lively and the staff friendly – what’s not to like? The daily blackboard specials might feature salt-baked langoustines, grilled turbot, monkfish casserole, and swordfish in Manzanilla or sea bream in a salt crust. A seafood lovers’ paradise indeed!